What do Albert Einstein, Vito Corleone, Irving Berlin, Golda Meir and U.S Navy Rear Admiral Hyman Rickover have in common? 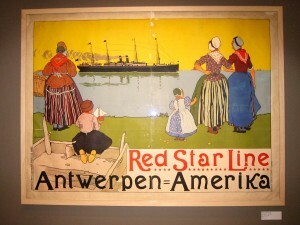 All immigrated to America on the Red Star Line, an ocean-crossing passenger line transporting some 2.5 million European emigrants to New York and Philadelphia between 1873 and 1934. 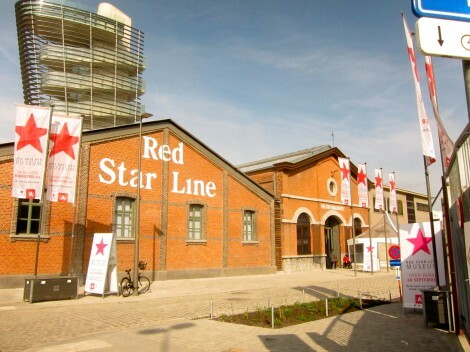 I visited the Red Star Line Museum in Antwerp, Belgium, and so should anyone in the vicinity, as the museum is not only informative, but also interesting and important to understanding the world as it is today. 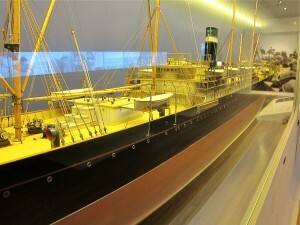 Officials call the facility a “European migration museum,” and displays do feature human migration in general, but the museum’s scope is larger, focusing on the history of the shipping company (an ancestor of today’s cruise ships), and emphasizing the emigrant experience. 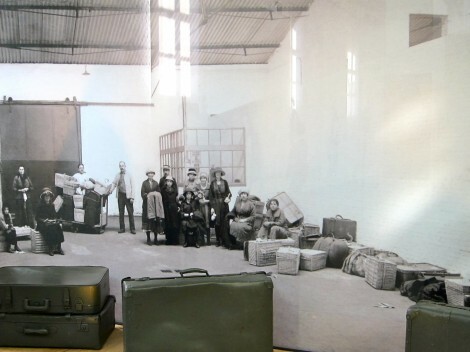 Although first class first-class travel receives mention, steerage takes center stage, as the museum occupies the space of the shipping company’s original departure warehouses for third-class passengers and exhibits follow the footsteps of the huddled masses yearning to breath free from troubled Europe to the door of America. 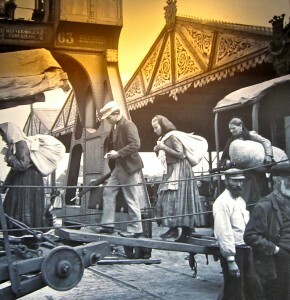 Through photos, memorabilia, testimonies, maps, and a variety of interactive displays, visitors learn that many of the passengers, seeking relief from poverty, prejudice and persecution, came from Russia, Eastern Europe and the Austro-Hungarian Empire. 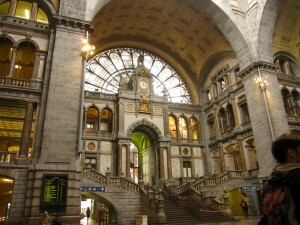 Antwerp Central train station, built between 1895 and 1905, was first stop for many Red Star Line passengers. That they purchased tickets (which is said to have cost the amount a laborer earned working 75 days—or the equivalent of $1,300 in today’s money) at agencies located in various parts of Europe, buying a “packaged deal,” that included a train trip to Antwerp and a modest hotel. Once at the dock, third-class passengers left all of their belongings to be fumigated and sterilized, while they endured a rigorous cleansing program and meticulous medical exams that determined it they were fit for the journey. Ship models and model-cross sections shed light on of life aboard the vessels, which was luxurious in first class, but difficult for steerage, where passengers shared cramped, communal cabins for journeys that could last 10 or more days. A walk through the museum helps us understand the melting pot of emotions that must have been shared by the travelers—fear, excitement, despair, hope, sadness and joy associated with spirits unshackled and sent soaring. 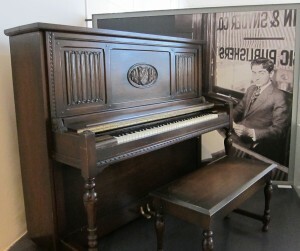 Irving Berlin’s piano sits in the room at the end of the historic displays symbolizing success of the emigrants. Marketers are quick to claim there would be no “White Christmas” or “Easter Parade” without the shipping line. But the world would lack so much more—perhaps even you, as millions of Red Star Line passengers landed in America and planted the roots of family trees that populate our great country from sea to shining sea. 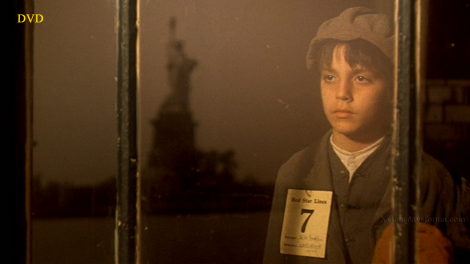 As to Vito Corleone, of course we know that he is fictional, however in the movie “Godfather Part II,” he wore a Red Star Line company identification badge upon arriving in New York, attesting to the importance of the line to the times.